CHAPEL HILL, N.C. (AP) - Dean Smith is still giving to his North Carolina players - even after his death. Tim Breedlove, the Charlotte-based trustee of the trust that bears the late coach's name, said Thursday that letters were sent earlier this month to each of the players who lettered for Smith's Tar Heel teams - about 180 in all. The letter says Smith directed that following his death, each letterman was to be sent a $200 check with the message "enjoy a dinner out compliments of Coach Dean Smith." A top leader of Yemen's al-Qaida branch has claimed responsibility for last week's attack on a Paris newspaper, when two masked gunmen killed 12 people, including much of the weekly's editorial staff and two police officers. Nasr al-Ansi, a top commander of Al-Qaida in the Arabian Peninsula, or AQAP as the branch is known, appeared in an 11-minute Internet video posted Wednesday, saying that the massacre at Charlie Hebdo was in "vengeance for the prophet." The paper had published cartoons of the Prophet Muhammad, which is considered an insult in Islam. 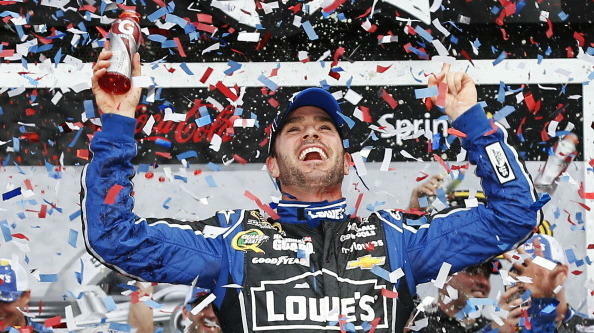 A big first for Danica Patrick, but an even bigger second for Jimmie Johnson. Johnson won his second Daytona 500 with a late push on Sunday, grabbing the spotlight from Patrick as she faded on the final lap. Patrick became the first woman in history to lead laps in "The Great American Race" and was running third on the last lap, but slipped to eighth in the late push for position. Scott is the only black Republican in Congress. The decision announced Monday makes him the South's first black Republican senator since Reconstruction and only the fourth black Republican ever in the U.S. Senate. He takes over for Jim DeMint, who announced earlier this month he would forgo the remaining four years of this term to take the helm of The Heritage Foundation, a conservative think tank. His resignation takes effect Jan. 1.